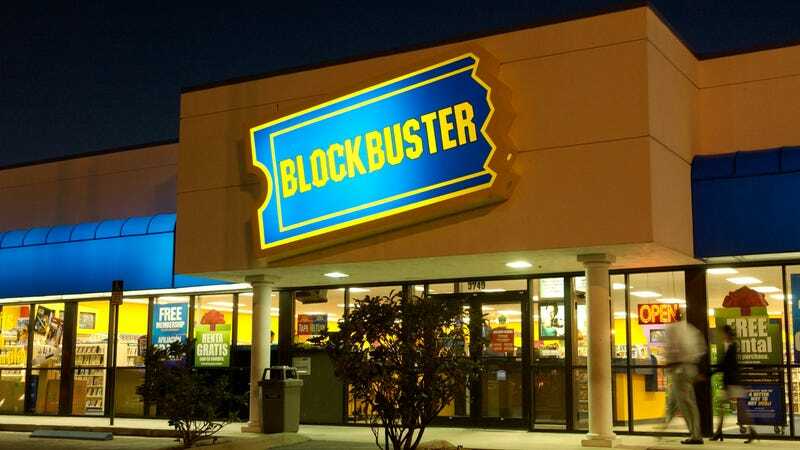 The answer, ironically, is the exact reason so many people preferred their local, independent video stores to the blue and yellow behemoth back in the ‘90s—Blockbuster offers a personal touch. While the majority of local Bend customers interviewed admitted to also using Netflix or RedBox, they continue to return to Blockbuster because of the helpful, knowledgeable staff. According to GeekWire, these customers also “cited the selection available at Blockbuster as their primary reason for patronizing the store.” Anyone who has scrolled through Netflix on a Friday night knows that the streaming service has a lot to choose from but not necessarily anything you’d want. For these customers, a quick trip to Blockbuster (followed by a detour to the Papa Murphy’s next door) and their evening is all set. Of course, that’s not to say Bend, Oregon exists in a time bubble, untouched by technological advancements and societal trends. The success of services like Netflix is unquestionable, and it continues to threaten brick-and-mortar rental shops everywhere, including in supportive communities like Bend. “Everybody jumps on board with the newest greatest thing, and then they start to miss the other stuff,” laments manager Sandi Harding who, just last month, was forced to finally close her second Blockbuster location in Redmond, Oregon for not generating enough revenue. There are still a handful of Blockbuster locations in operation in Alaska—which has long been a reliable market for the once-dominant franchise—but even those may not be long for this world. So, if you’re looking to take a trip down memory lane, or maybe just want to get a packet of kettle corn to go along with your DVD of The Snowman, take a drive up to Bend.